The most important milestone in a student’s life at St. Edward’s is not the graduate procession out the red doors of Main Building, but the day that freshmen enter through those doors as part of their induction into our academic community. On that day, the horizons of opportunity, self-fulfillment and professional accomplishment open wider than any student thinks possible. Our students arrive at a liberal arts university in one of the most creative and economically resilient cities in the nation. 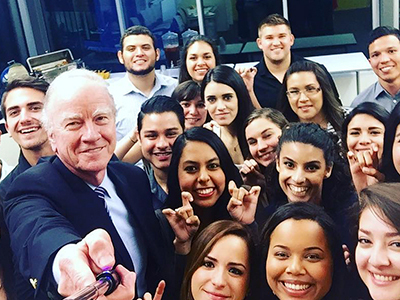 The university is deeply rooted in the Austin community, but we have a global mindset. This perspective is manifested in partnerships with 24 universities around the world, where our students study and develop an international worldview. Students learn in small classes that encourage intellectual discussion. They engage in off-campus projects and internships as part of a St. Edward’s education that emphasizes real-world experiences and takes advantage of Austin’s resources. All students at St. Edward’s explore transformational pathways to knowledge, understanding and self-discovery. Our holistic approach integrates classroom and co-curricular learning, opening doors to a diversity of experiences that challenge students with different, even contrary viewpoints. In turn, students are roused from passive, comfortable thinking and expand their perspectives through exposure to new ideas. These learning experiences train, inform and sharpen the mind, preparing it for a lifetime of identifying, exploring and analyzing problems yet to be encountered and solved. The university’s Holy Cross mission, which has guided us throughout our history, compels us never to educate the mind at the expense of the heart. By learning with their hearts to respect, value and love others — even those different from themselves — students learn that all people are equally entitled to fairness, kindness and justice. They also learn that education is about more than learning, intellectual growth and preparation for vocation. It is about understanding one’s role in advancing the cause of social justice in the world. 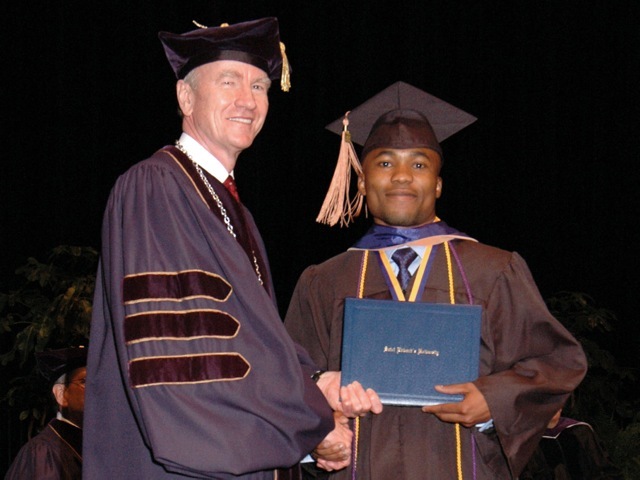 This distinctive education has led our students to win more than 150 prestigious national and international academic awards, including 60 Fulbright grants since 2008. Year after year, they are accepted into the world’s most prestigious graduate and professional schools. And graduates who move directly into their careers see high job placement within a year after graduation. When our students proceed out the red doors as graduates, they do so empowered to make a difference in their world. 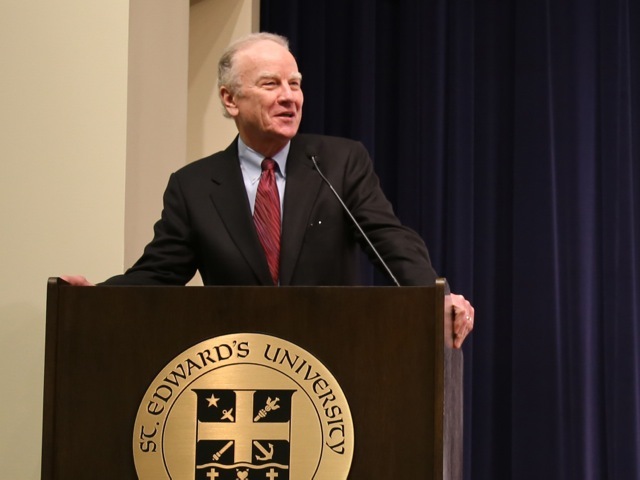 The perspectives and skills imparted at St. Edward’s guide them as they become future leaders, prepared to address the world’s most pressing problems. George E. Martin joined St. Edward’s in 1999. In his time on the hilltop, undergraduate enrollment has doubled, and St. Edward’s has been ranked a top-25 university in the Western Region for 16 consecutive years by U.S. News & World Report. The university’s leadership team and Board of Trustees provide a depth of experience, a passion for education and a dedication to service. Their valuable insights help us meet our goal of providing transformational pathways to knowledge, experience, understanding and achievement for every student.